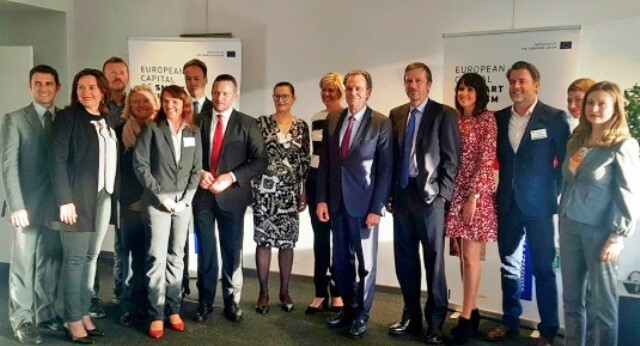 Ljubljana has taken first place in the category of sustainability in the European Commission’s new European Capital of Smart Tourism 2019 competition. The title for 2019 was awarded to two cities: Helsinki and Lyon. The final selection took place yesterday in Brussels. Factors that were evaluated in choosing the European Capital of Smart Tourism included city image, accessibility, sustainable tourism, digitalisation in tourism services, cultural heritage and innovativeness in tourism offerings. The European Capital of Smart Tourism competition is a new initiative by the European Union that aims to promote smart tourism in the EU, network and strengthen destinations, and facilitate the exchange of best practices. Altogether 38 cities from 19 EU Member States participate in the inaugural competition. Helsinki competed in the final selection with Brussels, Ljubljana, Lyon, Malaga, Nantes, Palma, Poznań, Tallinn and Valencia. The award ceremony will take place in connection with European Tourism Day in Brussels on 7 November 2018.